Food and Beverage Association of Ghana (FBAG) is threatening to withdraw all locally manufactured products from the market if the government goes ahead with the implementation of the Tax Stamp Policy on March 1st. 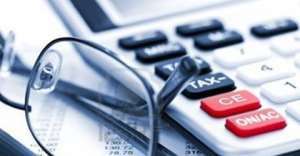 Local manufacturers in Ghana are worried that the implementation of the Tax Stamp Policy has the potential of collapsing local manufacturing companies. "Active players who are going to be heavily impacted by the project had oftentimes pointed out difficulties inherent in it if the mode is allowed to roll-out the way it is to be done as stated by project implementers," he stated in a media engagement. According to FBAG, the Excise Tax Stamp as a Port Process has the potential of resulting in a 200 percent intrusive examination. The examination, they claim, will set aside most of the Risk Management and profiling dividends that should otherwise accrue to the complainant trader as stated in the Trade Facilitation Agreement.